Wisconsin Governor Scott Walker believes that poor people who receive public assistance should have to undergo drug testing, and he’s taking steps to make sure that happens. Walker last week charged ahead with a plan to require drug testing for some recipients of Wisconsin’s food stamps program, formally referred to as the Supplemental Nutrition Assistance Program (SNAP), reports The Atlantic. The plan would make Wisconsin the first state in the union to drug test for food stamps, other states that have tried the move have been blocked by the feds. That comes on top of another plan to test Medicaid enrollees in Wisconsin. Oh, and don’t forget a law already on the books: That one requires drug testing for non-custodial parents getting funds Temporary Assistance for Needy Families. The proposed change to SNAP would affect those who take part in its Employment and Training Program (ETP). Healthy, childless adults already have to meet work requirements to qualify for food stamps through ETP. Under Gov. Scott’s proposed new rules, those who test positive would be required to undergo drug treatment, or lose their benefits. The state would pay for “drug rehab” for pot smokers who couldn’t afford to pay for it themselves. While alcohol, amphetamines, cocaine, and barbiturates all clear out of a person’s urine after four days or so, marijuana can linger for 30 days or more. That means any drug testing, by definition, tends to catch more cannabis smokers than any other category of substance user. Arizona has published figures showing a net savings of just $3,500 for 26 individuals who either tested positive or failed to show up for their drug test appointment. That’s an overall saving of just $135 per person. According to state data, the seven states with existing programs— Arizona, Kansas, Mississippi, Missouri, Oklahoma, Tennessee, and Utah— are spending hundreds of thousands of dollars to detect very few drug users. The statistics show that welfare applicants actually test positive at a lower rate for drug use than does the general population. Meanwhile, the states have collectively spent almost $1 million on the effort, with millions more slated to be spent in years to come. Under the Obama Administration, Gov. Walker’s requests to add drug testing in the SNAP program were denied or delayed by the Agriculture Department because they were seen as an additional barrier to eligibility— one that Wisconsin wasn’t entitled to impose. While the state denied that, the argument had already been used successfully. The Centers for Medicare and Medicaid Services has also denied requests for waivers from states which wanted to impose drug testing for Medicaid. Early on, Centers for Medicare and Medicaid Services Administrator Seems Verma signaled the agency would now accept work requirements in Medicaid waivers, like the one being considered in Wisconsin. Verma also announced in November that CMS “will approve proposals that promote community-engagement activities,” typically including work, community service, and job training. According to Kaiser Health News, healthcare experts expect this move heralds the agency’s support for further conservative reforms impacting aid eligibility such as drug testing. 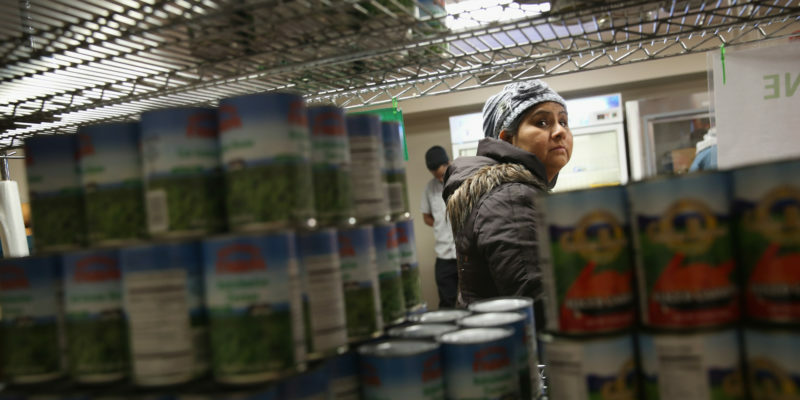 Advocates are concerned the changes are just a way for states to kick millions of poor people off welfare programs, and undermine their mission of providing food assistance and health coverage to the poor. As part of the U.S. Food and Drug Administration’s ongoing efforts to protect consumers from health fraud, the agency today issued warning letters to four companies illegally selling products online that claim to prevent, diagnose, treat, or cure cancer without evidence to support these outcomes. Selling these unapproved products with unsubstantiated therapeutic claims is not only a violation of the Federal Food, Drug and Cosmetic Act, but also can put patients at risk as these products have not been proven to be safe or effective. The deceptive marketing of unproven treatments may keep some patients from accessing appropriate, recognized therapies to treat serious and even fatal diseases. The FDA has grown increasingly concerned at the proliferation of products claiming to treat or cure serious diseases like cancer. In this case, the illegally sold products allegedly contain cannabidiol (CBD), a component of the marijuana plant that is not FDA approved in any drug product for any indication. 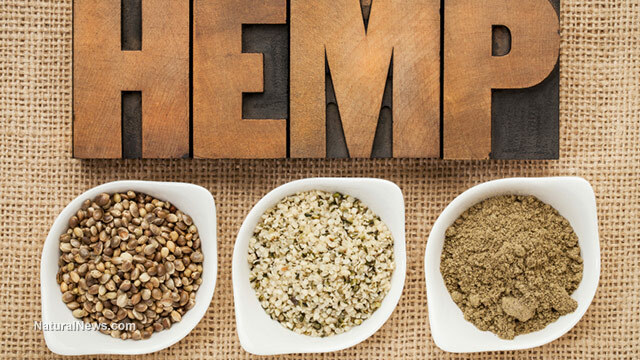 CBD is marketed in a variety of product types, such as oil drops, capsules, syrups, teas, and topical lotions and creams. The companies receiving warning letters distributed the products with unsubstantiated claims regarding preventing, reversing or curing cancer; killing/inhibiting cancer cells or tumors; or other similar anti-cancer claims. Some of the products were also marketed as an alternative or additional treatment for Alzheimer’s and other serious diseases. Unlike drugs approved by the FDA, the manufacture of these products has not been subject to FDA review as part of the drug approval process and there has been no FDA evaluation of whether they work, what the proper dosage is, how they could interact with other drugs, or whether they have dangerous side effects or other safety concerns. The FDA has requested responses from the companies stating how the violations will be corrected. Failure to correct the violations promptly may result in legal action, including product seizure and injunction. This latest action builds on the more than 90 warning letters issued in the past 10 years, including more than a dozen this year, to companies marketing hundreds of fraudulent products making cancer claims on websites, social media and in stores. Additionally, the FDA recently took decisive action to prevent the use of a potentially dangerous and unproven treatment used in ‘stem cell’ centers targeting vulnerable cancer patients. The FDA encourages health care professionals and consumers to report adverse reactions associated with these or similar products to the agency’s MedWatch program. The DEA is looking for candidates to grow marijuana for research – but will it find any takers? ts available. Or they could get seeds and plants from another country, such as Canada or Israel, with the proper permits. At the same time Californians are preparing to vote on the legalization of adult marijuana use, the federal government is weighing whether pot should continue to be classified as a top-tier narcotic on par with heroin. Within a month, the Drug Enforcement Administration is expected to release a much-anticipated decision that could alter cannabis’ ranking in the hierarchy of controlled substances — a formal listing that affects everything from medical research to taxing policy. Since the list was created in 1970, marijuana has been ranked in Schedule I — the most restrictive category ­alongside heroin, LSD and peyote. The designation is reserved for drugs the DEA says have no proven medical use and are highly addictive. Even if the Drug Enforcement and Food And Drug administrations don’t recommend changing where marijuana falls on the controlled substances list, Congress could. Elected officials are more likely to be influenced by growing public acceptance of marijuana — particularly if they represent one of 25 states with legal marijuana programs. “I think that’s probably an easier sell than the decision coming from doctors and police,” said John Hudak, a deputy director with the Brookings Institution. Some members of Congress support rescheduling marijuana, including Sen. Barbara Boxer. Some have even pitched descheduling it, including presidential hopeful Bernie Sanders. But none of those efforts gained traction, and Paul Armentano with the advocacy group NORML isn’t optimistic Congress will act on the issue anytime soon. “I’m not aware of a single hearing much less a vote even in a subcommittee that has ever taken place at the Congressional level specific to the notion of reclassifying marijuana,” he said. “We’re bound by the science,” said Melvin Patterson, spokesman for the DEA. But many experts and advocates say the current classification is increasingly at odds with scientific studies on marijuana, which suggest the drug has medical value in treating chronic pain, seizures and a number of other conditions, with a lower addiction rate than alcohol. The DEA ranking also lags behind a growing public consensus. Roughly 80 percent of Americans believe medical marijuana should be legal, according to recent polls, while some 60 percent support legalizing the drug for all adults. “In 2016, this notion that cannabis possesses potential harms equal to that of heroin … simply doesn’t pass the smell test,” said Paul Armentano, deputy director of the National Organization for the Reform of Marijuana Laws, or NORML. Medical marijuana is now legal in 25 states. Recreational use is allowed in four states plus Washington, D.C. If California green-lights recreational use this November, one in six Americans would live in a state where adults would be allowed to freely use cannabis. The question of how cannabis should be ranked has been hotly debated since Congress placed it in the Schedule I group when it passed the Controlled Substances Act nearly 46 years ago. The drug’s classification has been reviewed periodically, with the latest reexamination prompted by a petition filed with the DEA five years ago by the then-governors of Rhode Island and Washington. In April, the DEA advised Congress that it expected to announce a decision in the first half of 2016. The agency has several options: keep cannabis as a Schedule I drug; reclassify some or all of its compounds to a lower schedule; or remove the plant from the controlled substances list altogether. There is a greater chance than ever that marijuana will be rescheduled, said John Hudak, who studies the topic as a deputy director with the Brookings Institution. But he still expects pot to remain a Schedule I drug. Leslie Bocskor, president of Las Vegas-based cannabis advisory firm Electrum Partners, thinks the odds slightly favor a reclassification of marijuana to Schedule II. That category includes morphine and cocaine, which the DEA says are highly addictive but have some medical value. A form of cocaine, for example, is used by some dentists as a local anesthetic. The least restrictive of the five schedule categories, Schedule V, includes cough syrup with a bit of codeine. Alcohol and tobacco aren’t included on the DEA’s controlled substances list, even though federal studies have found both are associated with higher dependency rates than marijuana. Patterson said the DEA frequently hears from people frustrated that marijuana hasn’t been rescheduled sooner. For the medical marijuana community, even reclassifying cannabis as a Schedule II drug would offer some vindication. “At a minimum, it would bring an end to the federal government’s longstanding intellectual dishonesty that marijuana ‘lacks accepted medical use,’ ” Armentano said. Such a shift by the DEA also might offer a small boost to at least half-a-dozen states with medical or recreational marijuana initiatives on the ballot this November. That potential to give some credence to legalization efforts is one of the reasons a few members of Congress, including Sen. Chuck Grassley of Iowa, and the organization Smart Approaches to Marijuana, or SAM, cite in arguing against reclassifying marijuana. “Rescheduling would simply be a symbolic victory for advocates who want to legalize marijuana,” SAM wrote in a policy paper on the issue. But both the California and American medical associations say rescheduling pot could lower the barriers a bit for federally sanctioned drug research. The DEA has never turned down a marijuana research request that met federal criteria, Patterson said. But experts say red tape related to Schedule I drug research is so formidable that it discourages applications. So while there are tens of thousands of peer-reviewed studies on marijuana, there are few costly and rigorous double-blind, placebo-controlled trials involving cannabis. Moreover, researchers say, marijuana studies are saddled with restrictions that don’t apply to other Schedule I drugs. Since 1968, for example, the federal government has said only a tightly controlled stock of high-quality marijuana grown under contract by the University of Mississippi can be used for FDA-approved studies. Armentano said that restricts the supply available for research. uld begin deducting operating expenses from their federal taxes. Under a tax rule imposed during the Reagan Administration’s 1980s anti-drug war, businesses dealing in Schedule I or II substances are prohibited from writing off common expenses such as rent, utilities or advertising. Harborside Health Center, a large Oakland dispensary, has been battling the IRS over the rule for five years, after being assessed $2.4 million for illegal deductions. A decision in that case is expected soon. Even if cannabis was moved down the controlled substances list to the least-restrictive category, the industry would still be likely to face business and regulatory hurdles. Armentano likened such a change, should it come, to the first stride in a marathon. Pot would remain an illegal substance under federal law. Reclassification wouldn’t necessarily open access to banking services, Hudak said. And doctors wouldn’t automatically switch to writing prescriptions, as opposed to “recommendations,” for medical marijuana, since that’s only allowed for FDA-approved drugs. He said sweeping changes would only come in the unlikely event that cannabis was completely descheduled, putting it on par with alcohol. Armentano isn’t optimistic the DEA will move marijuana to a less restrictive category, but he said there’s been one positive result from the current review. Former New Mexico Gov. and 2016 Libertarian White House hopeful Gary Johnson says he thinks President Obama is going to remove marijuana from the government’s “Schedule I” list of narcotics considered particularly harmful and addictive on his way out of office. Marijuana is currently on the Schedule I list alongside drugs like LSD and heroin. The Drug Enforcement Agency defines Class I drugs as having a high potential for abuse and no currently accepted medical use. Democratic presidential front-runner Hillary Clinton, among others, has suggested reclassifying the drug under Schedule or Class II. Those drugs include cocaine, but also certain painkillers like oxycodone that are available with a medical prescription. Mr. Johnson’s campaign followed up by saying that the former governor would prefer that the president remove marijuana from the controlled substances list entirely, allowing states to legalize and regulate as they and their voters choose. But the campaign said most discussion and a more likely near-term step has centered around reclassifying it to Schedule II, which would remove a barrier to prescribed medical uses, though they said that either move would be a step in the right direction. Mr. Obama has said that Congress can move on such a reclassification. Tom Angell, chairman of the advocacy group Marijuana Majority, said the attorney general and the secretary of Health and Human Services can move to get rescheduling done without further legislation under the Controlled Substances Act. “It’s tough to predict what the president will do on this issue before he leaves office, but if he’s willing to uphold his pledge to set policy based on science, and he listens to the majority of Americans who support marijuana reform, he will exercise his administrative authority for rescheduling,” Mr. Angell said. Mr. Johnson pointed out that there are still some “dry counties” in the country with respect to alcohol and predicted marijuana would eventually be in that same category. “I don’t know how long it’s been since you’ve been to Colorado, but I think you can sense vibrancy, and it’s there,” he said.